With all that is happening in the church and world today, St. Michael has been one of my go-to people for prayer. I designed this neutral bracelet to serve as a beautiful reminder to ask for his help in our prayers. 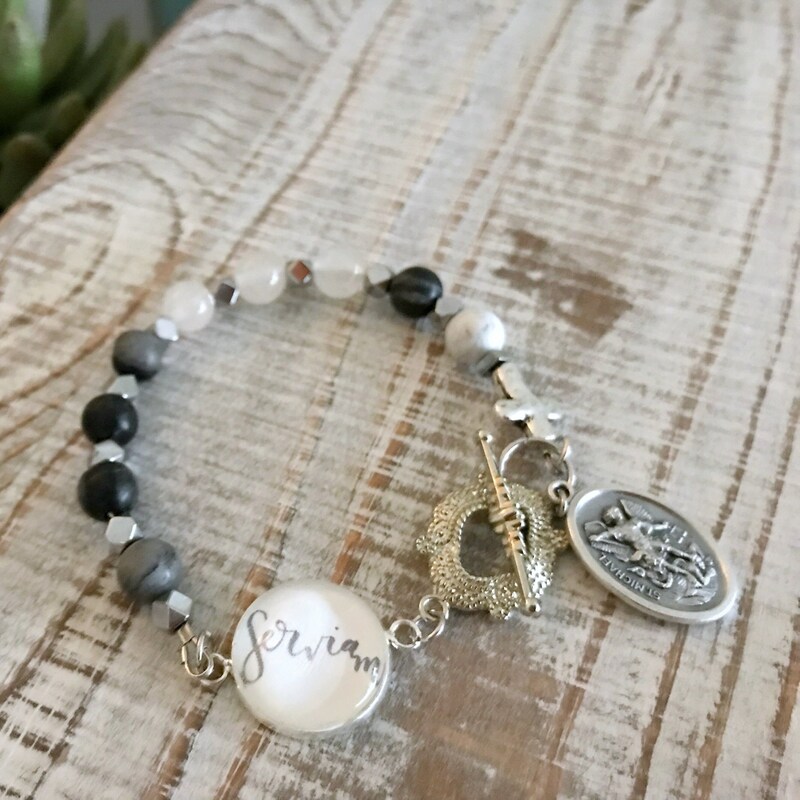 Handmade with stone and glass beads, the bracelet also features a metal cross bead and handlettered pendant reading "serviam," or "I will serve." This was, as the story goes, St. Michael's response to God in contrast to Satan's "I will not serve." The bracelet measures approximate 7.5" and has a toggle clasp closure. It comes with postcard instructions for praying the chaplet.